Virtual CME offers resident and fellow discount pricing for online cardiac CT course and the live 2019 cardiac CT course. Group discounts also available for online cardiac CT course. Please contact Virtual CME for details. Due to limited space, the live cardiac ct course 2019 is limited to ten registrants. 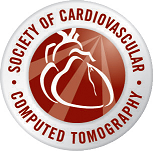 The live 2019 cardiac CT course agenda is available on request or at the Chandler Regional Medical Center website.